Another star kid is all set to make his debut in the Malayalam film industry. Nithin Renji Panicker, son of screenwriter-turned-actor Renji Panicker, is making his directorial debut. And a plum one at that. His first film will star megastar Mammootty in the lead role. Nithin, who has earlier worked as the assistant director to Shaji Kailas said that his film will be an action flick, but one that is different from his father's style of films, best known for their memorable dialogues. 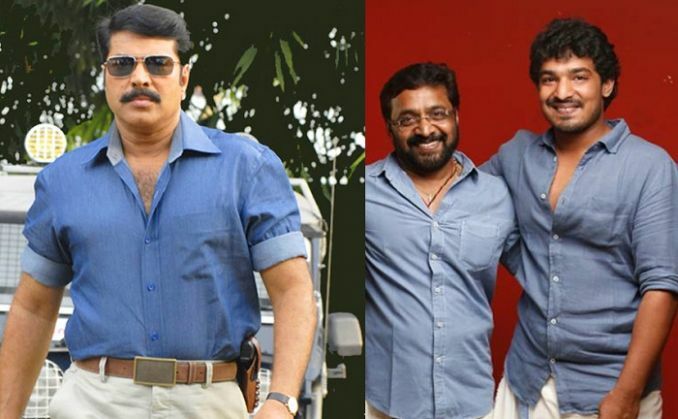 Mammootty will essay the role of a police officer in what is touted to be a comic thriller. The actor will sport a new look for the film. Nithin is also penning the script for the film - which will also mark the acting debut of Varalaxmi Sarath Kumar, the daughter of Tamil actor Sarath Kumar. Her role was initially offered to Bollywood actress Tabu who reportedly opted out of the project owing to a lack of dates. The title and the supporting cast of the film - which will be produced by father Renji Panicker and Anto Joseph - will be announced shortly.